On Storyteller, athletes like you write about activities, time and places they experienced and enjoyed. These are memories that are meant to stay. That is why we'd like to announce the introduction of two new features. It's your own space on Storyteller and it collects all of your stories. The new design exalts the visuals, wrapping the content in a clear and effective way. A popular request: now you can embed the widget of a Story on your own website. 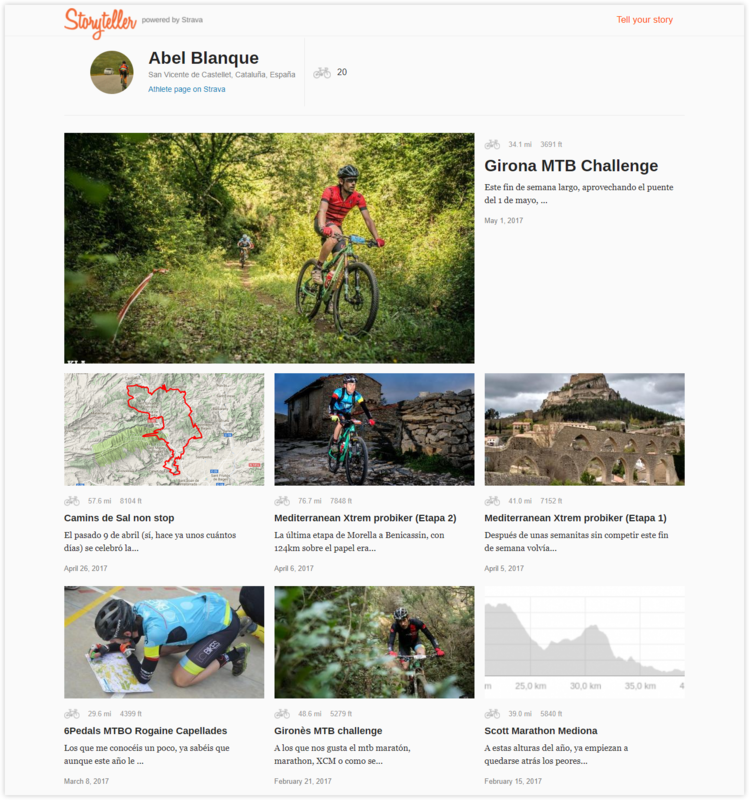 Stay tuned for more development, and do not forget to join the Storyteller Club on Strava: a simple and effective way to spread the love about Storyteller.